Food 4 Less is a national warehouse grocery chain owned by Kroger. The grocery store offers natural and organic produce, meat, seafood, health and beauty products, and has in-store services such as a deli, a bakery, and a flower shop. 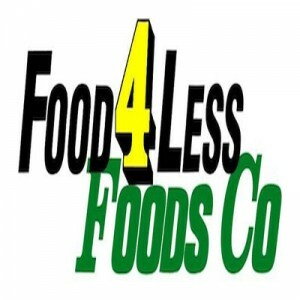 Lou Falley came up with the name and logo of Food 4 Less in the 1930s. He developed a chain of stores under the Food 4 Less brand and Falley’s name, with the former operating under a no-frills warehouse format. Food 4 Less operated mostly in Kansas and northwestern Missouri. After several re-acquisitions and mergers, it opened stores in Illinois, Nebraska, Southern California, and Nevada. Employees are given attractive benefits like competitive starting salaries, store discounts, paid time-off, medical, dental, and vision insurance, 401(K) plans, assistance programs, and stock purchase options. The store provides a productive but relaxed environment where employees can work efficiently and enjoyably. There are many career advancement programs available, and the management makes sure to acknowledge and reward workers who excel in their work. How old should you be to be hired at Food 4 Less? The store’s minimum age requirement for applicants for basic entry-level positions is 16 years, while for managerial positions, applicants must at least be 18 years old. The grocery chain employs a variety of talent to operate the dynamic offerings of the store. Available positions include sales clerks, food section clerks, stocking associates, pharmacy, flower shop, and bakery clerks, and managerial roles. Cashier: A Cashier is responsible for ensuring an efficient and effective checkout. Duties include greeting customers, using the cash register, properly and accurately handling payments and giving of change, clearing carts in the checkout lane, and maintaining the cleanliness of the store. Sales Associate: A Sales Associate provides assistance to customers with their grocery shopping. Duties include welcoming customers, organizing the display, addressing issues and complaints, providing assistance to the customers, reporting any maintenance issues, maintaining the cleanliness of the work stations and store floor, and collecting the carts and returning them to their designated areas. Stock Associate: A Stocking Associate is primarily responsible for handling products and overseeing the stock room. Duties include receiving and processing, filing delivery reports, scanning items, checking the accuracy of the labels and prices, stocking and organizing the display, handling returned items, discarding damaged and expired products, and ensuring proper storage of perishable and frozen goods. Produce Clerk: A Produce Clerk provides front-end service in the produce section of the store. Duties include assisting customers and answering questions about the product selection, handling and packaging products for checkout, stocking and organizing the display, ensuring the accuracy of product labels and prices, managing the inventory, processing and receiving deliveries, and properly disposing of food waste. Bakery Clerk: A Bakery Clerk provides front-end service and ensures the smooth operation of the bakery. Duties include stocking and organizing the display, removing damaged and expired products, handling payment transactions, assisting in the preparation and handling of baked goods, reporting any maintenance issues, and cleaning the store. Deli Clerk: A Deli Clerk is primarily tasked with providing front-end service in the meat department. Duties include assisting the customer, explaining the product selection, handling and storing merchandise, preparing and/or slicing meat according to the customer’s request, handling payment transactions, processing and receiving deliveries, managing the storage area, inspecting refrigeration equipment, and complying with food safety and sanitary regulations. Pharmacy Technician: The technician assists the pharmacist in ensuring the smooth operation of the department. Duties include filling and releasing prescriptions with supervision from the pharmacist, processing and receiving orders, stocking, checking and removing all damaged and expired items, handling payment transactions, updating the pharmacy’s patient database, and performing other clerical tasks. Pharmacist: A Pharmacist oversees the operations of the pharmacy and supervises the pharmacy associates. Duties include filling and releasing prescriptions, complying with federal regulations on releasing drugs, monitoring inventory levels, operating the cash register, and explaining the possible side effects and proper administration of purchased medication. Assistant Manager: An Assistant Manager is primarily responsible for overseeing the operations of the store and supervising the crew. Duties include recruiting and training employees, supervising the team during shifts, processing the payroll, handling complaints and issues raised by the customer, and ensuring strict compliance with the company’s safety and sanitation policies and protocols. Store Manager: A Store Manager oversees the overall operation and management of the store. Duties include hiring and training employees, coordinating with suppliers and warehouse associates, implementing strategies to maximize store sales and profit, marketing and merchandising, filing sales reports, overseeing store maintenance, and complying with the company’s policies on safety and sanitation. When applying, just visit any store to ask for available positions and file an application form. Vacant positions are also posted online on their official website along with an electronic application. Either online or in-store application is accepted. You may go directly to any store to ask for an application form and inquire about their vacant jobs or go to their official website’s Careers page and browse through the available positions. Make sure to submit a neatly and completely filled-out application form without erasures. Submit it along with your complete requirements. For online applications, you need to set-up your profile and create your account first. In creating your resume, present all the basic information in an organized manner. Include other relevant information such as certifications and training. For the interview, show eagerness and dedication for the position you want. Prepare for questions regarding yourself, your relevant skills, and why you chose the company. Food 4 Less strives to make grocery shopping simple, convenient, and inexpensive. Workers are dedicated to deliver effective service and assistance to customers, and provide them with cheap, but fresh and quality products. In 2017, the grocery chain said that they would take part in hurricane Harvey relief efforts. They placed donation boxes in their stores and donated all proceeds to the American Red Cross. The company is famous for its simple and no-frills concept. Customers are encouraged to bring their own shopping bags and personally bag their purchases at the checkout. The store is able to provide cheaper groceries by implementing cost-reduction strategies. Food 4 Less, as a part of a larger company, is involved in numerous social efforts. Their Community Rewards program donates to non-profit organizations and local communities. They are also advocates of sustainable sourcing and ending hunger. 1 How old should you be to be hired at Food 4 Less?